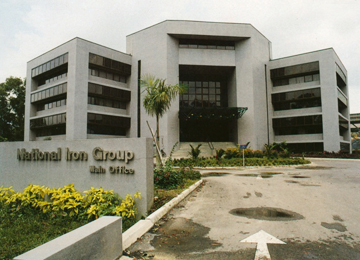 National Iron & Steel Mills Ltd (NISM) was incorporated on 12 August as a public company. The company's primary objective was to manufacture, export and trade in iron and steel products for the construction industry in Singapore, Malaysia and the region. The foundation stone for the factory was laid by Hon. 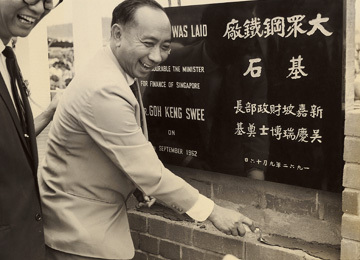 Dr Goh Keng Swee, then Finance Minister, at the 30-acre site inside the Jurong Industrial Estate on 16 September 1962. 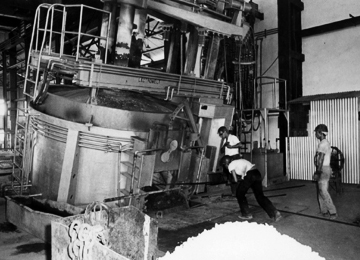 It was the first major industrial undertaking in Jurong. 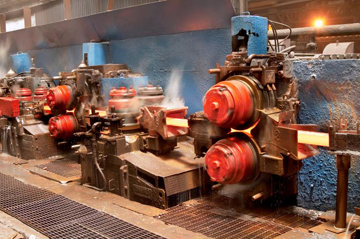 Meltshop started trial production while test runs were conducted on the rolling and re-rolling mills. A Public Issue was oversubscribed by 21 times. NISM officially opened on 31 January and production began on a commercial scale. 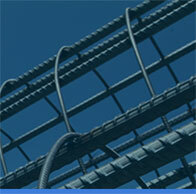 Eastern Wire (EW) was started as a joint venture to produce hard drawn wire and welded mesh. It became a fully-owned subsidiary in the early 1990s. Two 20-tonne cranes were installed at Jurong Port in December for the speedy discharge of imported raw materials. 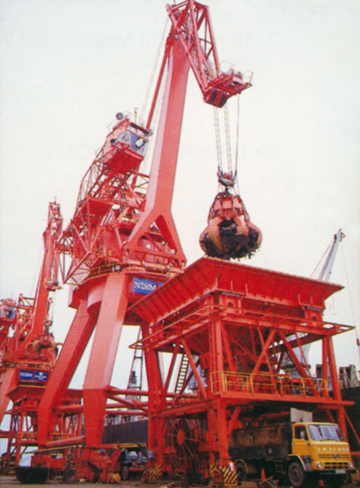 The cranes handle incoming cargoes of raw material and other bulk goods at much higher rates, saving substantial freight costs. Cut & Bend started in the fully-owned Eastern Industries. 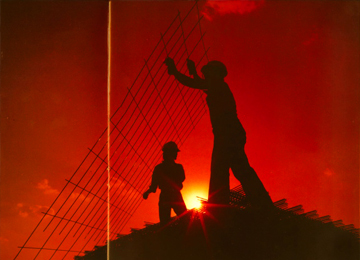 The company supplied prefabricated steel bars directly to construction sites in response to the industry's problems of space and labour constraints. It was later renamed as Eastern Steel in 1996. The head office, called the GMO building, was built at a cost of $3.9 million. 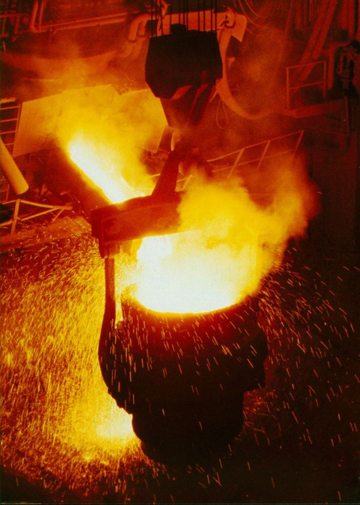 The Meltshop computer system was commissioned to enable better process control of steel chemistry, alloy consumption, manpower and energy. 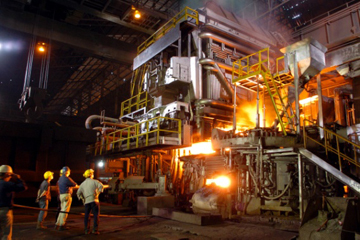 A new ladle furnace was commissioned to enhance secondary steel refining and production of higher quality steel grades. NISM changed its name to NatSteel Ltd, with multi-industry presence in steel, chemicals & engineering, electronics and resorts & properties. 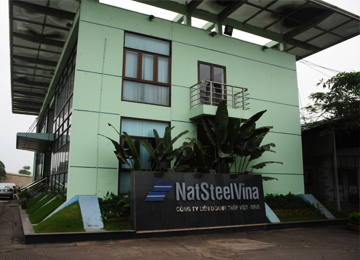 NatSteel Vina Company Ltd, a joint venture with VN Steel, was formed. It commenced commercial production in 1995, producing bars and wire rods for the Vietnamese market. The company achieved a break-even position for its first year of operations with an initial turnover of US $11 million. NatSteel Xiamen was formed as Southern NatSteel (Xiamen) with Southern Steel and two Chinese government-owned companies. 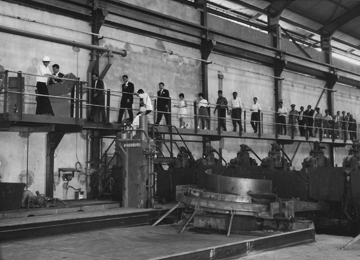 The 350,000-tonne per year rolling mill was commissioned by Senior Minister Lee Kuan Yew during his official visit to Xiamen in December 1997. 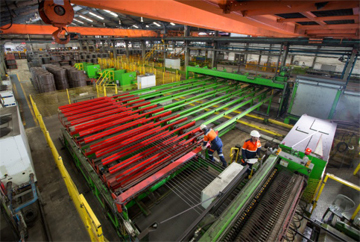 A new 80-tonne Electric Arc Furnace was commissioned as part of the restructuring efforts to improve productivity and cost management. 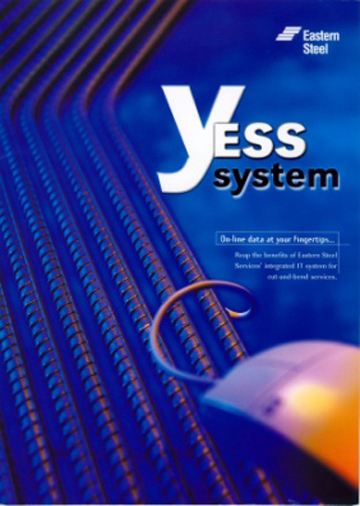 The YESS system was launched. It offers real-time information for customers to monitor their projects and improve site management and productivity. 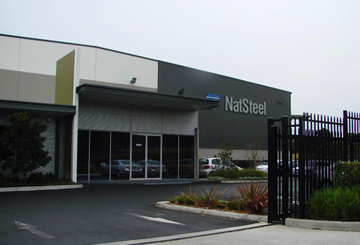 NatSteel Australia Pty Ltd was incorporated in Sydney as EW Reinforcement, supplying and manufacturing steel bars, mesh and accessories to the building and construction industry. 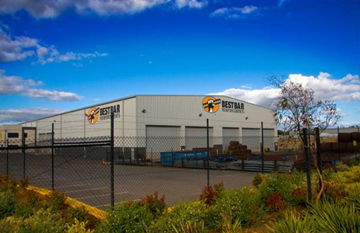 Best Bar Pty Ltd, a leading Australian steel reinforcement supplier, became a subsidiary of NatSteel. The company had been operating reinforcing bar cutting and bending and mesh facilities in Perth and Melbourne since 1997. 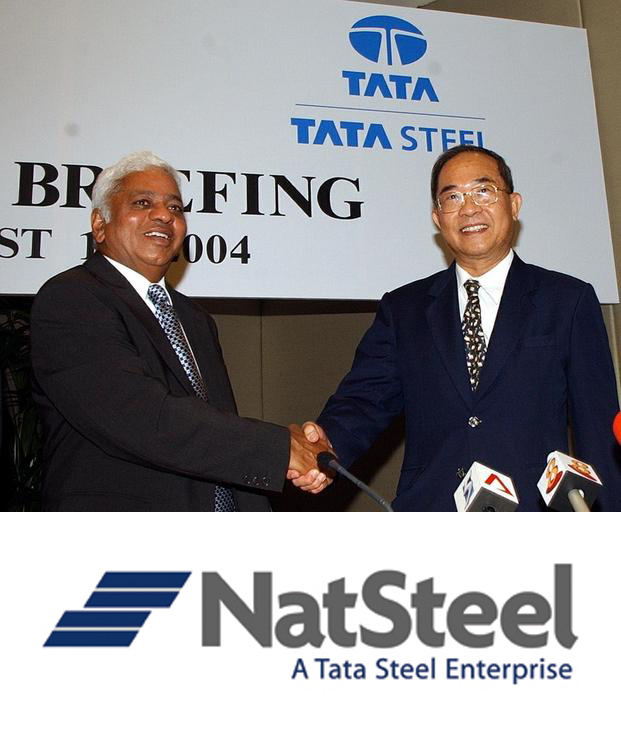 The partnership between NatSteel and Tata Steel was sealed. 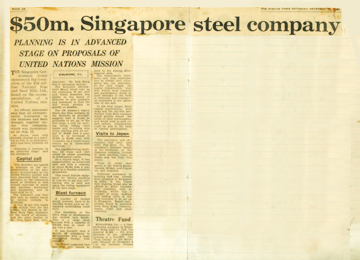 Tata Steel acquired the steel business of NatSteel, which retained its brand, while the remaining divisions of the group became known as NSL. NatSteel merchant bar mill achieved a resounding tonnage of 61,695mt – the greatest monthly figure since the mill was installed in 1984. 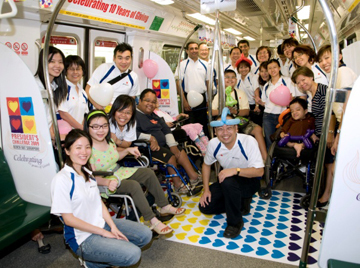 NatSteel launched its Corporate Social Responsibility (CSR) programme, dubbed 'Building Beyond Borders', with a pledge of S$1 million over the next three years to community initiatives. 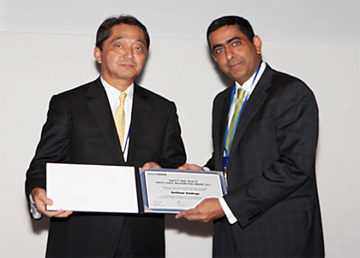 For achieving excellence in workplace safety, NatSteel was one of the four companies globally to receive the 2011 Safety and Health Excellence Recognition from the worldsteel association. A leap in productivity as automation and plant upgrades take place across the entire plant operations in Singapore. 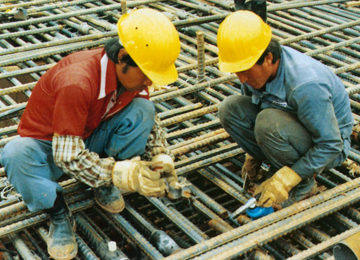 New operations are being set up in the ASEAN region to introduce prefabricated steel reinforcement solutions to the local markets.